There’s fear of massive electoral fraud in every Philippine election: there’s nothing new about that. With social media, however, every concerned citizen with a social media account is now able to broadcast what they actually see and hear. In this article, ThinkingPinoy lists down several pieces of evidence suggesting that electoral fraud may be alive and kicking in 2016. Removal of PCOS machine security features [ABSCBN], vote buying [CNN], “hakot” crowds [Tribune], and the use of government property for campaigning [Rappler] are already well-documented, that’s why we won’t mention them here. Instead, we will list down specific but lesser-known reports that are just as alarming. ThinkingPinoy received a photo of three ballot envelopes that allegedly contain ballots with the same ballot identification (ID) number. In the picture shown above, it can be seen that the three envelopes use the Ballot Envelope Numbers AES-206461, AES-206460, and AES-206459. However, all three envelopes allegedly contain ballots sharing the same Ballot ID Number 91040038. Ballot ID numbers are supposed to be unique. That is, no two ballots should share the same Ballot ID Number. During the final testing of PCOS machines in Lanao del Sur‘s 1st district, the votes for Duterte are credited to Roxas by the PCOS machine. The same has been observed in Mati City, Davao Oriental. This is not the first report of PCOS-related issues in Mindanao. 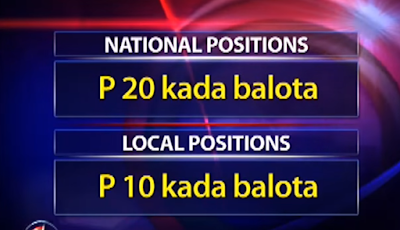 In March 2016, it was shown a mayoral candidate who received 16 votes according to the PCOS machine, actually received zero votes after a manual recount [SunStar]. An unidentified overseas Filipino complained about the non-use of PCOS machines by the Osaka Consulate’s Bureau of Election Inspectors (BEI), preventing voters from getting their receipts. 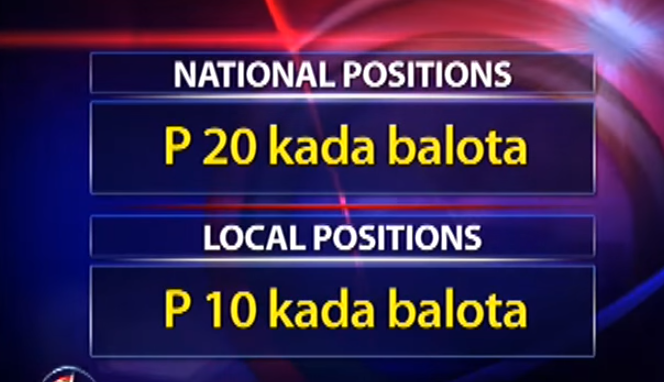 Former Biliran City Congressman Glen Chong alleged that election operators offered him an electoral victory in exchange for millions of pesos. A commotion ensued in an overseas voters’ precinct in Hong Kong. Be Vigilant! Guard your vote! Will there be massive cheating on May 9? Unfortunately, we can’t answer that until May 9 is over.